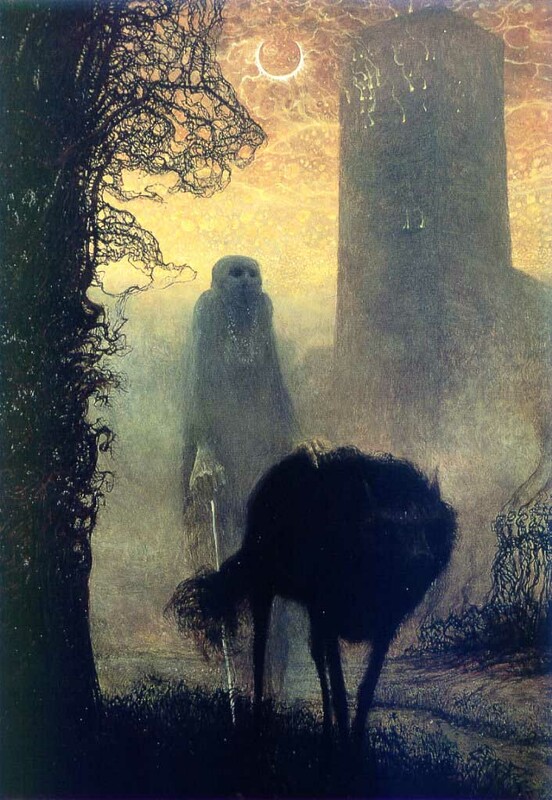 Beksiński was one of the most renowned contemporary Polish artists. His paintings are very popular and require buyers to have thick wallets. Zdzisław Beksiński (24 February 1929 – 22 February 2005) was a renowned Polish painter and photographer. A Beksiński painting contained elements of surrealism, the post-apocalyptic and immense attention to detail. Despite the grim overtones, he claimed some of these paintings were misunderstood, as they were rather optimistic, or even humouristic. His exhibitions almost always proved very successful. A prestigious exhibition in Warsaw in 1964 proved to be his first major success, as all his paintings were sold. In the 1980s his works gained on popularity in France and he gained significant popularity in Western Europe, the USA and Japan. He soon became the leading figure in contemporary Polish art. # Beksiński's art was gloomy and grim, though he himself was known to be a pleasant person, and though somewhat shy, took enjoyment from conversation. # He never gave titles to his works. # He painted his paintings on boards which he personally prepared. # He listened to classical music while painting and abhorred silence. # His son was a great fan of the band The Legendary Pink Dots. 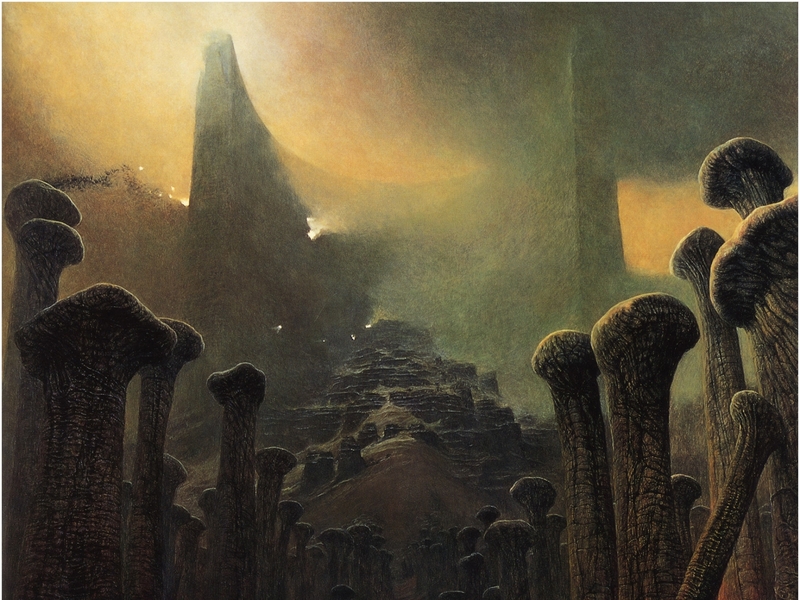 After his son's suicide the bands albums' Polish editions and reissues were graced by Beksińki's digital art employed as covers, dedicated to the memory of Tomasz Beksiński. 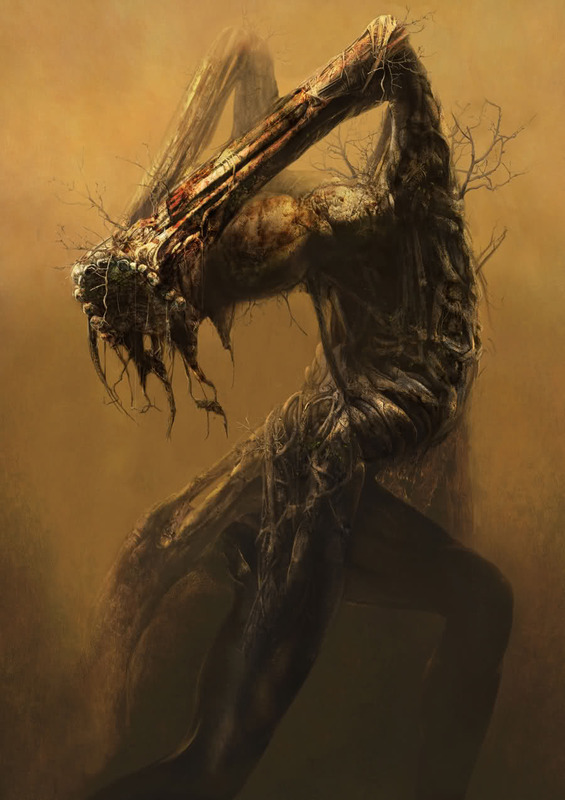 # It is often rumored that his disturbing works are depictions of things he saw in a comatose state. 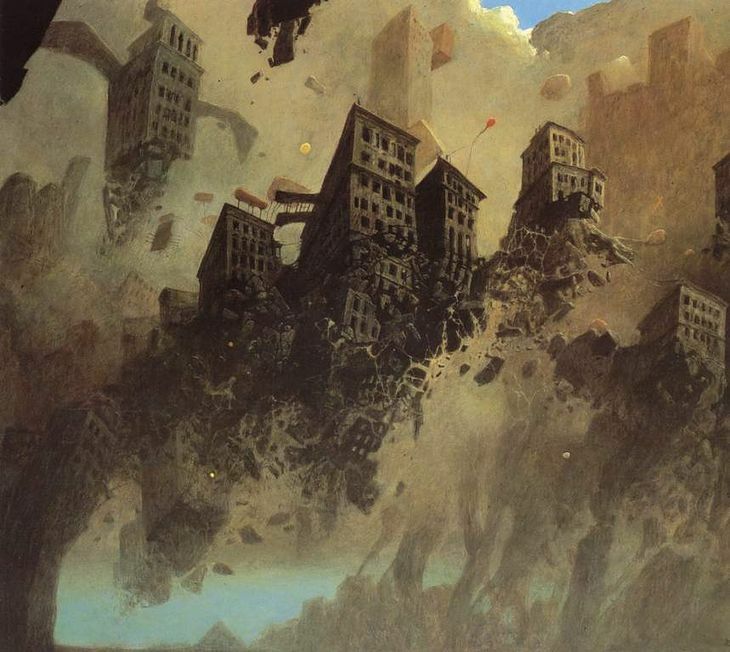 However, Beksiński never suffered from a coma. # He is the only modern Polish artist to have had an exhibition in the Osaka Museum of Art in Japan. I don`t know if I would like to keep them in my house even I got them for free. They are too morbid. If you are looking for a warm and fuzzy feeling from artwork, these painting definitely are not what you want! The seventh painting reminds me of the chapel made of bones that you showed us in another thread! I am glad that I am not the only one who doesn't fully appreciate the artistic vision here. There is no doubt that Beksiński is a talented painter, however I am unable to see the optimism or humor in his work. In truth, I would be interested to know how those who purchased his work interpreted it. Girls, come on, see the bright side of life! Celebrated artist Zdzislaw Beksinski, who gained world renown for his fantastical canvases, is to be honoured with a full-blown gallery in his home-town of Sanok. “Building work will be completed by September of this year,” promised Wieslaw Banach, director of Sanok's Historical Museum. The artist known for his gruesome images met a gruesome end in 2005 when he was stabbed to death outside his flat in Warsaw by a 19-year-old man over an incident involving a loan of money. Beksinski (b.1929) was a self-taught artist and he is most famed for his fantasy paintings, which were at odds with the European avant garde. Nevertheless, he has a cult following both in Poland and abroad. He is the only European artist to enjoy a separate exposition in the Osaka Museum of Art, Japan. Sanok's tribute to its most celebrated son will be located in a reconstructed wing of the town's castle. The wing in question was pulled down by the Austrians prior to the First World War. Reconstruction will cost 5 million zloty, over half of which will come from EU funds. Wieslaw Banach added that besides presenting Beksinski's works, the artist's Warsaw studio would also be reconstructed. The artist left Sanok in the late seventies, when the communist authorities divided up his family house. However, he left his estate to the town, and Sanok's collection includes thousands of paintings, sketches, reliefs and sculptures. 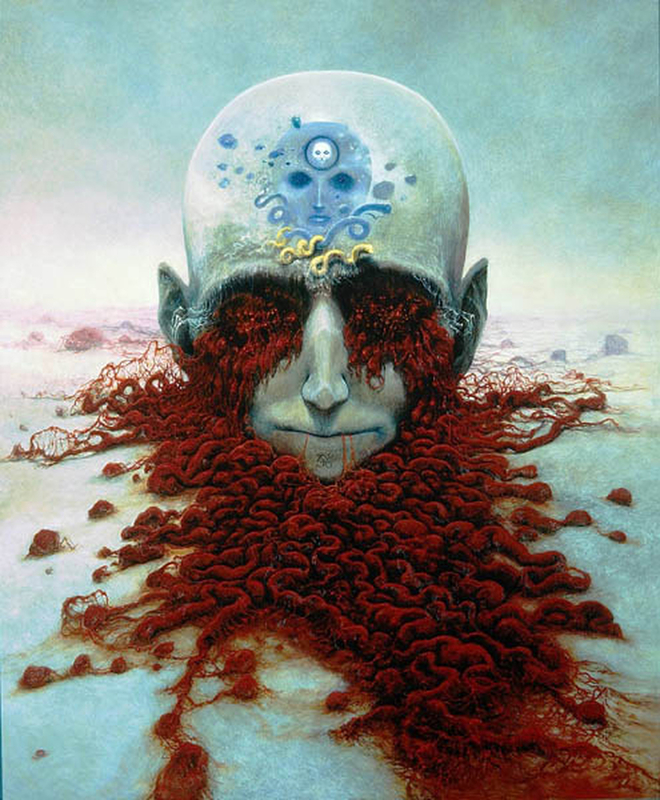 See more of Beksinski's work at beksinski.pl. Late Polish painter Zdzislaw Beksinski has his belated Viennese debut this weekend at the International Museum of Fantastic Art. Works have been loaned from the Historical Museum in the south eastern Polish town of Sanok, where the artist was born in 1929. 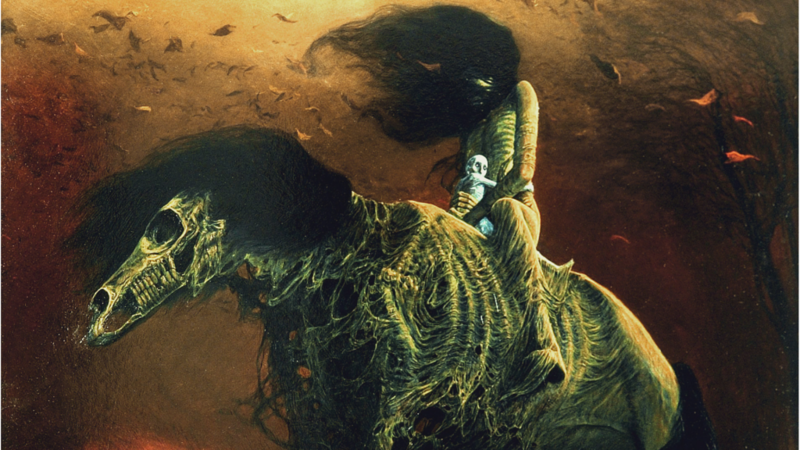 “It was Beksinski's dream to have an exhibition in Vienna or Prague,” said Wieslaw Banak, director of the museum, in an interview with the Polish Press Agency (PAP). “He was fascinated with art from this part of Europe at the turn of the 19th and 20th centuries, including Gustav Mahler's music, and the works of Franz Kafka,” he added. Beksinski's life came to a brutal halt in 2005 when he was murdered in his Warsaw apartment, apparently for having not given a loan to an acquaintance. In his will, he left his entire collection to his hometown of Sanok. “Zdzislaw Beksinski: The Darkness of the Subconscious” runs at International Museum of Fantastic Art (Phantastenmuseum) until 22 June. His paintings are not only surrealist but also magical realistic and nearly apocaliptic. Many painters and other artists died in a dramatic way. Think of Vincent van Gogh, Bruno Schulz, Stanisław Ignacy Witkiewicz, Jackson Pollock, Mark Rothko, and Michael "Mike" Kelley ( en.wikipedia.org/wiki/Mike_Kelley_(artist) ). I agree with it all, Peter. Director Jan P. Matuszyński prize-winning feature film debut "The Last Family” hits cinemas in Poland on Friday. Director Jan P. Matuszyński (front) and actors Andrzej Seweryn (L) and Dawid Ogrodnik (2L) during the premiere of ‘The Last Family’ in Warsaw, 27 Sept. The film won the Golden Lions award for Best Film earlier this month at the 41st Polish Film Festival in Gdynia. 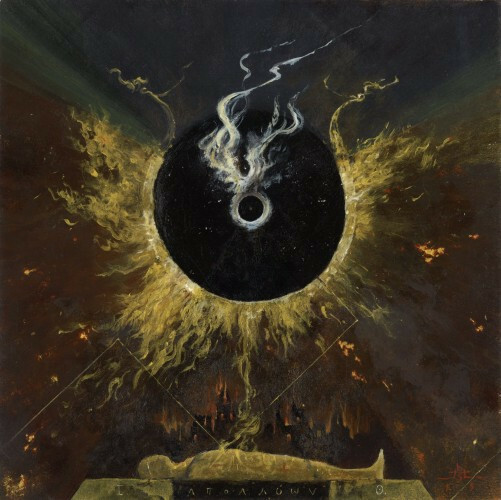 The movie focuses on the last three decades in the life of Poland's highly-acclaimed surrealist painter Zdzisław Beksiński, his wife Zofia and their son Tomasz, a radio journalist and translator. After Tomasz’s suicide attempt, his parents start fighting not only for their son, but also to regain control of their own lives. Andrzej Seweryn and Aleksandra Konieczna, who portray the Beksiński couple in the film, received the Best Actor and Best Actress Awards. “The Last Family” also received the Audience Prize.